Peach Aviation: As stressful as the morning began, we did not end up being late for our flight out of Incheon International Airport into Osaka, Japan. 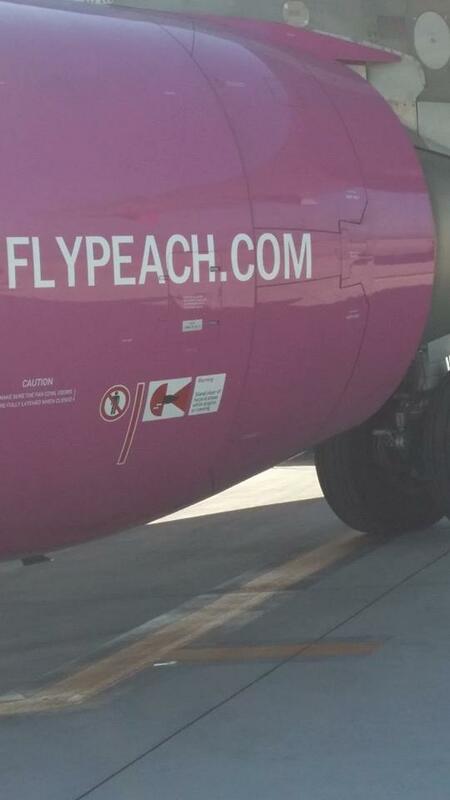 Even better, our budget airline experience with Peach Aviation was better than we expected! Peach, the pink-planed, Japan based version of Ryan Air, was way less stringent about carry-on baggage requirements and was way less aggressive about selling you useless crap in-flight. I would definitely fly with them again! 2. .Japanese Toilets: Arriving in Japan and getting through customs was a breeze and even better, before even leaving the airport, we had the pleasure of experiencing our first Japanese toilet. I’m talking heated seats, adjustable water pressure bidet, music, and more. The toilets in Japan are out of this world and maybe even a bit excessive. 3. Yen and Trains and Yen: Clean and hopeful for the possibilities, we headed to the train station with our Yen that we thankfully exchanged easily in Korea before arriving. With the help of a kind Japanese man with excellent English, we fought and won our first, but not last, struggle with the JR trains and those confounded ticket machines. Little did we know, our struggles with Japanese trains and transit had only begun. 5. Joy FIT staff Lifesavers: A little sightseeing under our belts, we felt settled enough to head to the hostel to try and ditch the weight. I should clarify. This particular weekend happened to be a Japanese holiday –unbeknownst to us at the time of booking—so we had had unusual difficulty finding an available hostel for two nights. Saturday’s hostel was a “women’s only” apartment with zero reviews…not the most reassuring signs of a reliable location. What we didn’t know was that it meant there was one old Japanese man renting out rooms in an apartment and that our designated “arrival time” was a time we were supposed to meet this man to get a key that we had missed by our little detour. So, in other words, we were officially in need of some help. We made it to the right place but we were there at the wrong time. Luckily, the 24 hour gym on the first floor of this apartment building had two of the kindest, most generous Japanese people ever! Through broken English and good old fashioned kindness, these two used their phones to call our hostel man and let us wait inside! So, we left them apples the next morning and a note written in Japanese and they added us on Facebook! That genuine, person to person compassion is exactly the kind of human connection that makes travel worth it, no matter the cost. 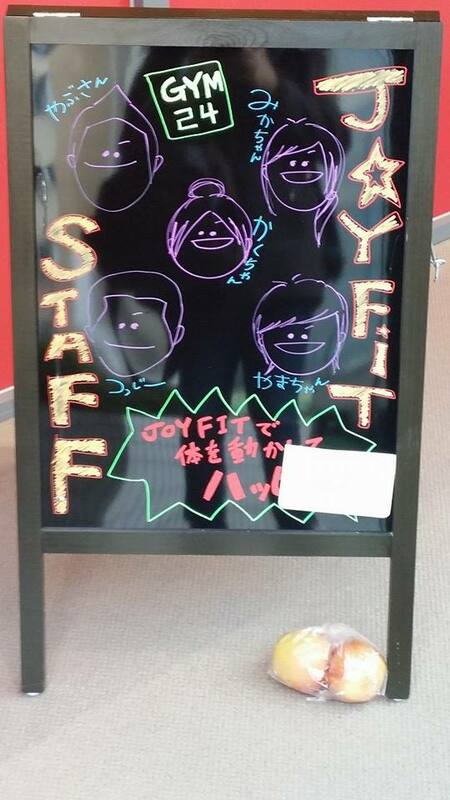 Joy Fit Staff! aka our Heroes! 6. 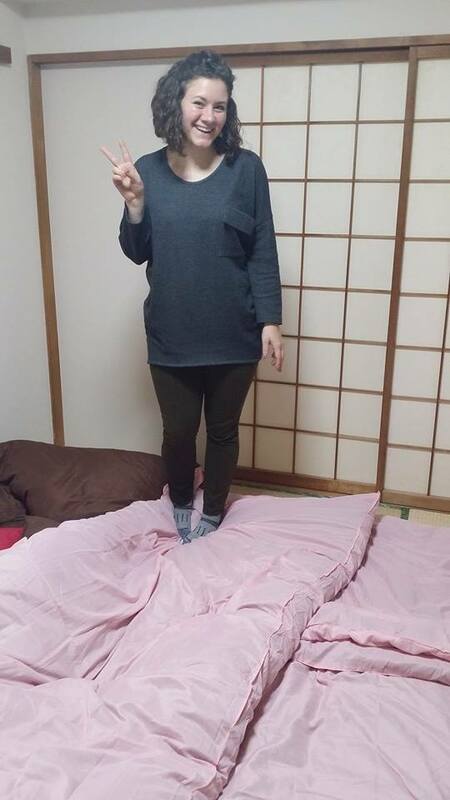 Traditional Japanese Sleeping Conditions: I can’t really glamorize this detail. The “tatami” floors smelled like a barn and the cute sliding paper door was literally paper and let every noise in the entire building keep us awake. The best part of the entire joint, besides getting to make friends with several amazing and educated women of the world, was the sleeping mats. They should have really been called oversized dog beds. But, we slept well and they were actually extremely cozy and warm! 7. Hai! One simple thing was made clear in our short little weekend in Japan, you should learn the Japanese word for “yes” and use it without abandon whenever the question has to do with food. Noodles and dumplings at what can only be described as a Japanese diner? Hai! Waffles at the train station? Hai! Udon with chicken and egg at the miniscule eatery on a random road? Hai! And finally, when the menu is only in Japanese and there are no pictures, there’s the ever faithful lead the waiter around the restaurant as you gawk at other people’s food and finally decide to “have whatever he’s having”. What’s that you asked us in Japanese? Make it three? Hai! 8. Santa Made a Pit Stop in Osaka: Our second hostel in Osaka, Hostel 64, was this really hipster joint with a sort of off-the-beaten-path kind of glam. The interior design sure had us entranced. There was even a guitar propped in the corner of the common room if you’re that sort of hostel goer. What wasn’t so charming about the dorm sleeping was the fact that sneaky old Santa Claus had made an unexpected pit stop in Osaka. This idiot was up till who knows what time in the morning wrapping presents loudly in a community sleeping situation. I DO NOT CARE THAT YOU WENT TO UNIVERSAL STUDIOS. Get some manners and common sense and take that business to the lobby! Sheesh! 9. More Trains and Turnstile Hurdles: I can’t even count the number of JR trains and subway rides we took in just two days getting around Osaka and Kyoto. To quote Amy, I don’t exaggerate when I say I think it was probably more than the number I took studying abroad for 4 months in Europe. It boils down to two words: excessive and expensive. Korea’s transit has spoiled us and we didn’t even know it! Our day two journey wrapped up with a stressful 4:20 wakeup call and an interesting choice of a morning workout: subway station sprints complete with a backpack and for extra thrill, turnstile hurdles to the finish line! Fortunately, our illegal maneuvers got us to the airport on time. Unfortunately, somehow the Japanese knew and we ended up paying for that odd ticket anyway. 10. ありがとう– A special Arigato (thanks) to the kind people of Japan who are way more proficient in English than they think and who live in a beautiful country that I hope to have the pleasure of visiting again! さようなら / Sayonora!